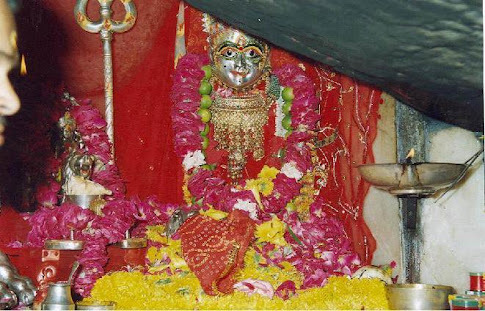 Tannot Mata is a temple in western State of Rajasthan in District Jaisalmer of India. The Village is close to border with Pakistan and is very close to the battle site of Longewala of Indo-Pakistani War of 1971. The tourists cannot go beyond this temple to see the Indo Pak Border unless one has got the permissions in advance from the District and Military Authorities. It is now a tourist destination in India. The area is said to have oil and gas reserves. It is said that during the Indo-Pakistani War of 1971, Pakistani Army dropped several bombs targeting the temple but none of the bombs could fall on the temple and large no. of the bombs in the vicinity of the temple did not explode. After the war the temple management was handed over to Border Security Force of India. On date Border Security Force Jawans (soldiers) man the temple. The temple has a museum which has collections of the unexploded bombs dropped by Pakistan. As per Indian Census, The Population of Tanot Village is 492 Persons having 49 Household. The place being closer to Pakistan Border and totally Unfertile Plain land is prone to enemy attacks. The Govts. of both countries have planted several Land Mines in the area. The animals like Camel, Cattle are the worst sufferer of these Land Mines. The temple is approx. 180 km from the City of Jaisalmer and it takes approx three hours by road. The area is a high windfall area and as such large no. of wind turbine projects have come up in the area. The road to Tannot is surrounded with miles and miles of sand dunes and sand mountains. The temperatures in the area can go up to 49 deg C and ideal time to visit the place is from November to January. The geographical coordinates of the place are Latitude : 27 48' 00 and Longitude : 70 21' 00.